A few years ago I feel in love with the idea of using frames for wreaths, probably because I like squares and rectangles more than circles, but Lindsay has put an entirely new spin on it and used an empty frame to create a charm wreath. This fun wreath can display all sorts of cute trinkets, the way a charm bracelet displays momentos. 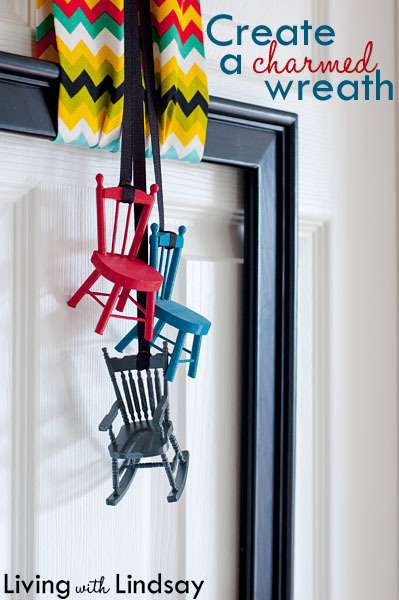 You can check out how to create a charm wreath over at Living with Lindsay.